It's impossible to sum up Vietnam - this is a country that oozes a sense of industry and vitality and it is all things to all people. 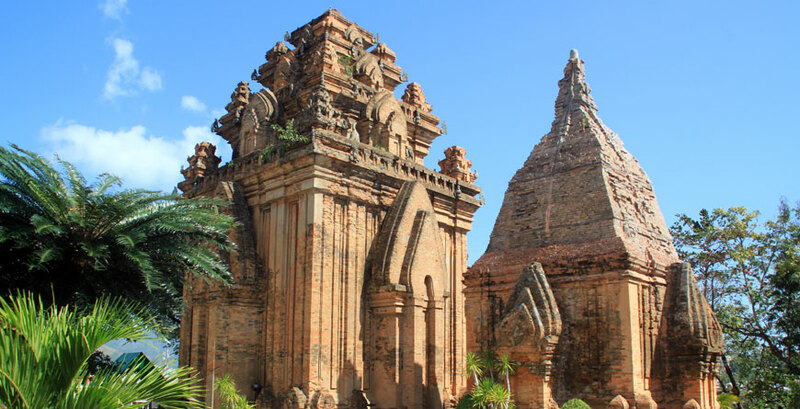 Hugging the borders of China, Laos and Cambodia, there are exciting contrasts at every corner - for a sensory overload, in every sense of the expression, you've definitely come to the right place. 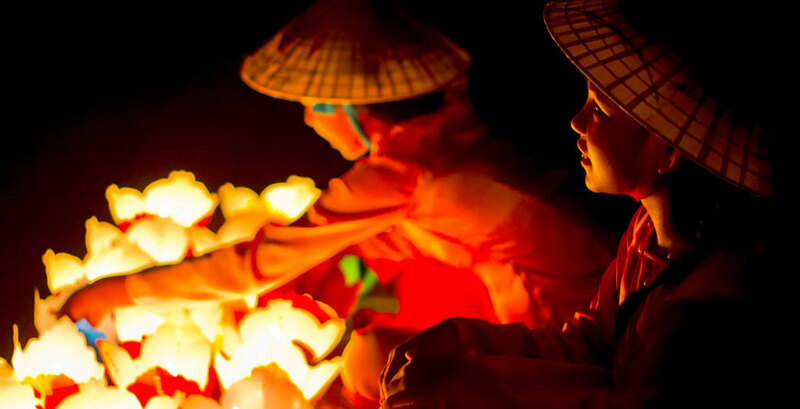 Lauded as the gastronomy capital of Asia, mingle with locals, sample traditional dishes and sip rice wine in Vietnam's many regional markets and if you love sea-food, you're in for a particular treat. With some sublime beach options, from bold and activity-packed, to deserted and jungle-backed white-sand islands, straight from a story-book, there are plenty of places to lay back and relax, cocktail in hand. Equally, if high-octane fun is more your thing, you can take your pick of activites up and down the country. Of course there is good reason Vietnam is a late contender on the holiday scene - the legacy of a generation-defining war offers a thought-provoking and sobering history lesson for all visitors. The northern capital of Hanoi is an obvious starting point for any itinerary - harmoniously blending old-world charm with cutting-edge modernity it offers a fascinating architectural heritage, including some beautiful colonial manions from the French era - it is undoubtedly one of Asia's most striking cities. Just take care navigating the bustling streets, teeming with impossibly-laden motorbikes and market-traders! 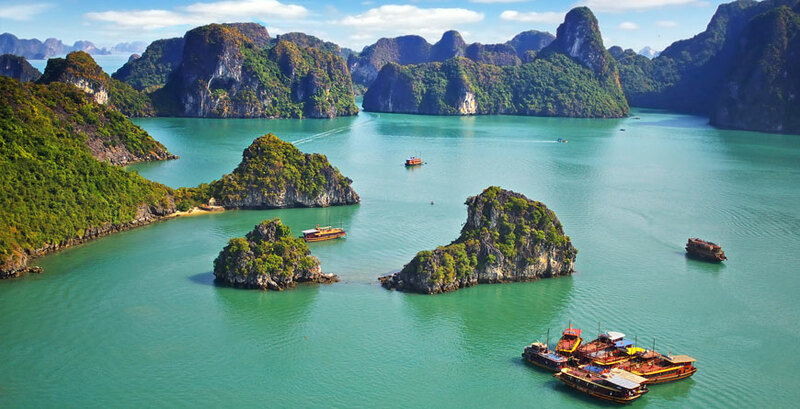 Journey east of Hanoi and you will discover Halong Bay, designated a UNESCO World Heritage site in 1994 and featuring more than 2000 stunning islands and islets rising from the azure waters of the Gulf of Tonkin which give it an ethereal and rather eerie beauty. It is understandably high on the tourist agenda, so we recommend escaping Halong City itself and instead opting for a cruise in a traditional junk in the bay and beyond, perhaps to Cat Ba Isand or Lan Ha Bay, which are less-visited. Halong Bay attracts visitors year-round but if you want to avoid peak season and the tropical storms that arrive from May through to September, the best time is definitely November when it is quieter and you can enjoy sunny blue-skies. Continuing south along Vietnam's curvaceous coastline is Hue and Hoi An. The towns are short transfers from each other and straddle the banks of the Song Huong River. If you are a history buff, Hue - Vietnam’s former Royal Capital - should definitely feature on your agenda, evoking as it does, the sheer power of the vanished Vietnamese feudal empire, including a complex of monuments, tombs and pagodas that attract tourists from all over the world. Hoi-an is similarly ancient but both warm and welcoming. A UNESCO World Heritage Site, it was once a hub of merchant activity, much of which is still visible in the canals that cut through this small town and even in the old wooden Chinese shopfronts - it's a gem of a place to explore. 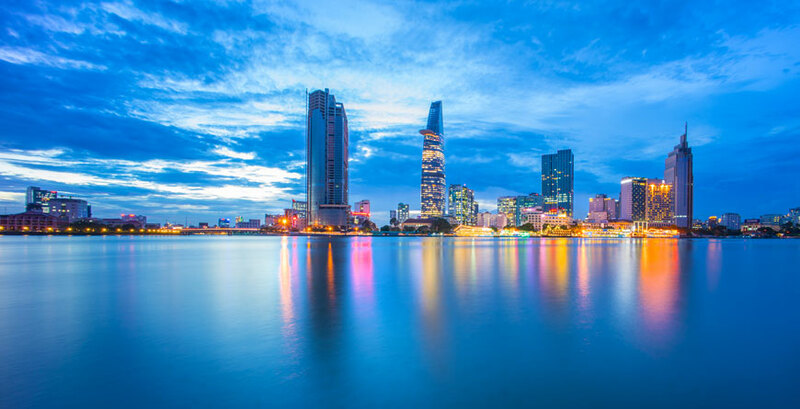 In the south is the extensive Mekong Delta and Ho Chi Minh City, the country's greatest metropolitan area consisting of a vibrant and high energy mixture of culture, commerce, tradition and modernity. Here designer hotels, boutiques, markets, street stalls and high-end restaurants cater for every possible need. Old-fashioned alleys that once witnessed a city torn apart, incense-infused temples and chic malls shelter beneath sleek towering skyscrapers. 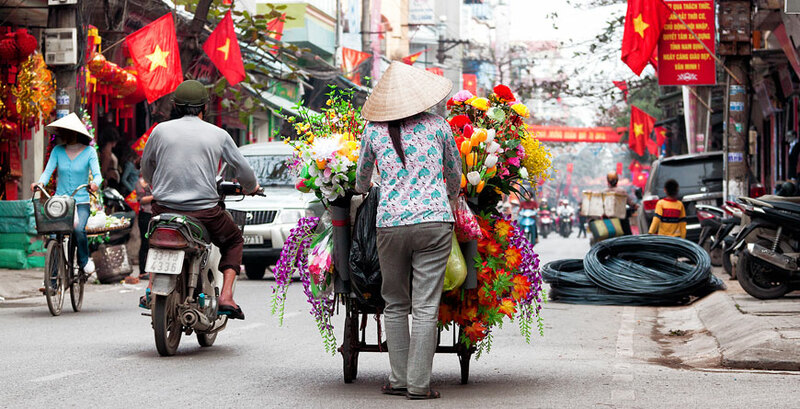 The former Saigon is indeed a beguiling mix of old and new Vietnam. We will shortly be adding more wonderful hotels and itineraries to showcase our portfolio, but in the meantime, if Vietnam appeals and our first selection does not quite bit the bill, please still be in touch for an initial chat and we can put some additional suggestions together for you. Thanks to its three different micro-climates and 2000 miles of coastline Vietnam is a great year-round destination. Whilst you can generally expect warm, humid conditions, the weather can vary enormously by region. In Hanoi & the north, May to October is hot and humid with high rainfall; November to April is cooler and dry. In the far north, December & January can be particularly cold. 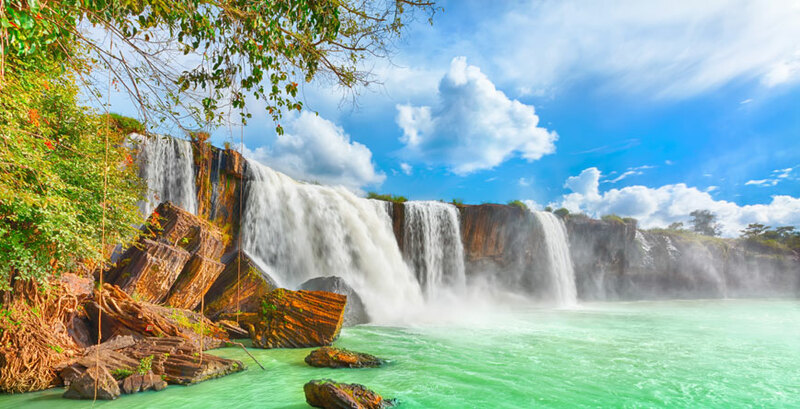 Southern Vietnam is generally dry and hot from November to April, and warm and wet between May & October, with the highest rainfall in June, July & August. Visit the vibrant Mekong Delta between October and May if you can. 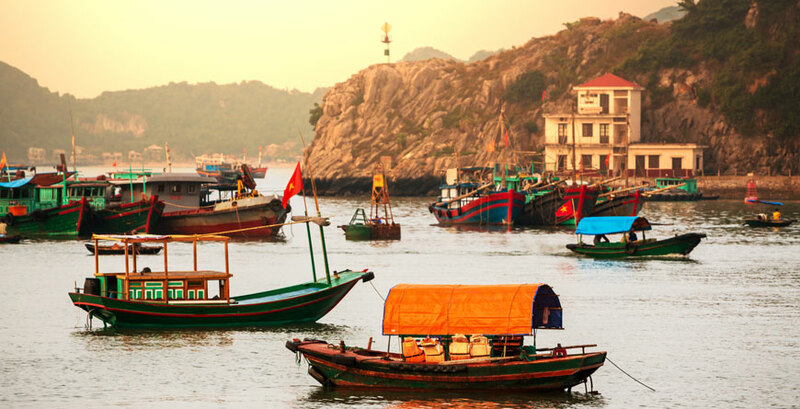 Flights: Vietnam Airlines fly direct to Hanoi and Ho Chi Minh but for better service and comfort, fly via the Middle East with Emirates or via Asia.